that French and British cuisine is better. The front door of popular wine bar Xai Xai. South African restaurants in New York are finding no shortage of patrons eager to taste the country’s vibrant cuisine. 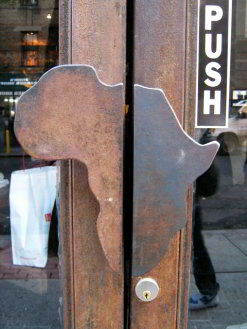 Several years ago Madiba in Fort Greene, Brooklyn, was the “go to” place for South African food, wine and ambience. Today there are other venues to choose from: Braai, an upmarket restaurant and its sister wine bar Xai-Xai, both in Hell’s Kitchen; and now Bunny Chow, a new Bohemian bar and restaurant in the East Village. All are surviving – some even thriving – in this recession-hit economy, where restaurants tend to flop like failed soufflés. Madiba’s owner Mark Hanegan is the veteran, having been in business for 11 years. 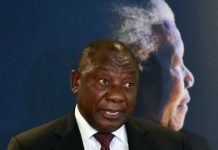 He has seen perceptions of South Africa morph from pariah to darling of the world, thanks to former president Nelson Mandela and the end of apartheid, to well and truly on the map, thanks to the 2010 Fifa World Cup. He chats to me in his trendy Afro-urban restaurant over scrumptious “pap and boerewors” and very tender oxtail. I’m tempted to order a glass of Nederburg but I settle for an Appletiser instead – more of a rarity than South African wine in these parts. 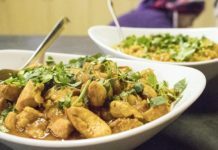 I’m dying to try an impressive array of dishes – some of which have been created by South African chefs flown in by Hanegan and visiting or resident mamas who are experts in traditional African fare like amagwinaya (vetkoek with savoury mince and mango chutney), and umngqhushu stambu (a samp dish). 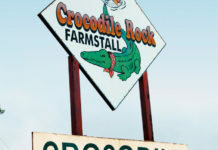 Other items on an extensive menu include Durban samoosas, organic chicken wings and farm raised ostrich carpaccio. Hanegan and I share a safari platter with dried apricots, nuts, droëwors and biltong, followed by a delectable malva pudding. It’s a beautiful autumn day and with the sun streaming in through the bright orange umbrellas outside, and African jazz melodies in the background, I’m transported to Cape Town. The huge Madiba artworks, wire bicycles hanging from the high ceiling and a veritable spaza shop of South African foods lining the wall give the restaurant the feel of home. Over the years Hanegan has hosted hordes of curious locals, tourists and homesick South Africans, not the least of which is Archbishop Emeritus Desmond Tutu. He recalls how a cab driver from Durban, who caught sight of Madiba restaurant when he drove by one night, came in, fell on a bottle of Mainstay cane, and only left the following morning. Now Hanegan celebrates the fact that “while so many restaurants are struggling, you can’t get a table at Madiba on a Friday or Saturday night”. 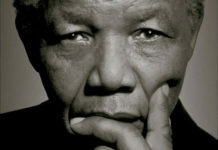 He also lauds the fact that the growing appetite for all things South African has inspired others to follow his path. When business partners Tanya Hira and Brett Curtin were holidaying in Mozambique four years ago, they met up with some South African winemakers and the idea of Xai Xai was born. “It was a huge gamble to start up a wine bar and sell only South African wines but from the moment we opened our doors we were busy. People just loved the wine,” says Hira, a US-born former fashion designer who once made a living designing frocks for priests. Curtin, a graphic designer who grew up in Somerset West in the Western Cape province, says he always had wine in his background. Xai Xai, located in trendy Hell’s Kitchen close to the theatre district, was an instant success, and a year later, in 2008, the pair decided to open Braai a few doors down. Both Braai and Xai Xai have an upmarket but traditional feel: there’s lots of carved wood, beautiful metal work designed by Curtin, bamboo ceilings and low lighting. As Hira talks about the impact of the recession, I am somewhat distracted by the delicious koeksusters in front of me. Dressed up with sorbet, an orange yoghurt mousse and rooibos ginger honey sauce, the somewhat lowly koeksuster has been transformed by Braai into an elegant and flavourful dessert that delivers an even more intense sugar rush! 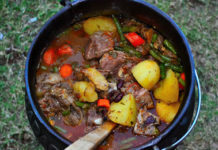 On the menu are items like braai burgers, boerewors and Soweto sauce with pap and gravy, biltong quiche, the popular beef or chicken bobotie with rice, the equally popular ostrich fillet with curried coconut and venison (locally sourced bison or buffalo meat) with “apricots, peppers and onions in a rooibos syrup”. Motivated to break out of the colonial mindset where “all things French or British are revered”, Paul Simeon opened Bunny Chow, the bohemian South African nightspot in the East Village. A French-trained chef who hails from St Lucia in the Caribbean, Chef Paul as he’s known, says he’s often asked why he opened a South African restaurant. “It’s funny because no-one ever asks me where I’m from when I cook French food. This just shows how colonialism has messed us up,” he says. Simeon describes Bunny Chow’s menu as refined peasant food. I taste a flavourful mini chow – an hors d’oeuvre version of the trademark bunny chow, a hollow bread loaf filled with lamb or beef curry. Simeon says he is still learning how to master the complex smorgasbord of South African food but says he’s happy to take instruction from South Africans who have shown him how to make the snoek fish-and-chips dish, vetkoek and chakalaka, now on his menu. “There are so many influences, so many different people who cook in many different ways. South Africa is a melting pot similar to New York,” he says. 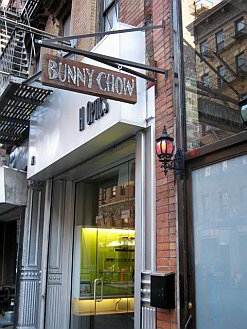 Bunny Chow is barely a year old and is still, in Simeon’s words, “a work in progress. I design as I go and people bring their music and ideas”. He also gets a lot of input from the four South Africans on his staff. It’s a relaxed, trendy venue, reminiscent of a typical Melville drinking hole – referring to the trendy Johannesburg suburb – though long and narrow with high ceilings in trademark Manhattan style. 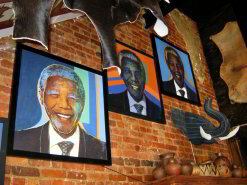 Although its thrown-together décor, sheets of corrugated iron and World Cup posters plastered on the walls lend a shebeen feel, it lacks the authentic South African vibe of Madiba or the more up-market, touristy experience of Braai and Xai Xai. Just as challenging as creating an authentic South African atmosphere, is sourcing key South African ingredients. Exotic meats like venison and ostrich cannot be imported so Braai and Madiba get their game from local farms. Both source their biltong from a South African-run company in North Carolina called Biltong USA, whose products have been approved by the US Food and Drug Administration. 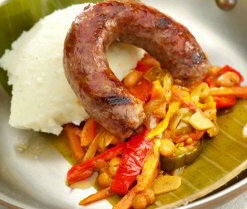 Madiba imports pap from South Africa, Braai and Xai Xai use corn polenta and Bunny Chow uses a white cornmeal from Mexico. All offer a range of South African wines, whose producers are courting them with growing enthusiasm. They also offer a platform for performing artists, musicians and filmmakers keen to showcase South African work. Luckily with such a rich array of culture, cuisine and wine to draw on, these entrepreneurs are unlikely to disappoint. Elections 2009: Thank you, South Africa!